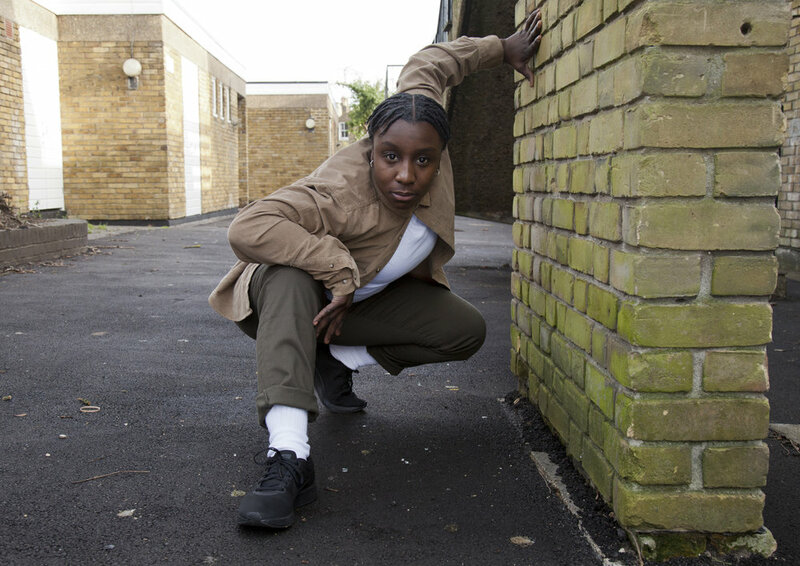 I am an LGBTQI performer and over the last three years I have been developing my solo practice where I fuse my poetry with breakdancing. For me, these two art forms, are how I am able to truly express my identity and allow myself to be the person I am today. Throughout my developing career I have worked with a variety of artists such as, playwright Roy Williams, Company 3, Talawa Theatre Company, Duckie, David Hoyle, Ursula Martinez, Ella Mesma Company and Some Voices. I have also performed as a dancer at Sadler’s Wells Theatre and The London Olympic Opening Ceremony 2012. My first live solo performance ‘I Am A Woman’ was created in Jamaica, and went on to to develop a video adaptation of the piece which screened at the BFI Flare Film Festival 2017. As well as the BFI, it has also screened at seven film festivals across London, Berlin and New York. My second live solo performance ‘Breaking Down My Trans-Lation’ was first shown at The Chelsea Theatre and has been shown at Latitude Festival 2016. I also made a video adaptation of this piece and it screened at The Scottish Queer International Film Festival 2017 and Leeds Queer Film Festival 2017. My previous work “Just Another Day” debuted at Resolutions and Talawa Firsts 2017. This piece incorporated High Opinion Drums, a Rastafarian Nyabinghi Collective creating a rhythmical canvas for the lyricism of my words and movement. I was also a part of Studio Firsts with Talawa Theatre company to begin working on the second part to “Just Another Day” which is called “Just Another Night”. This piece explores racism, classism and homophobia all in the events of one night at a house party. I premiered the full length of ‘Just Another Night’ at Talawa Firsts 2018 mixed bill. Extracts of the piece have also been shown at events held at Rich Mix, Hackney Showrooms, The Royal Vauxhall Tavern and Yorkshire Dance. I am also the Artistic Director of the Duckie QTIPOC Collective for young people between 18-26yrs and have also set up a revolutionary and exciting night called M!X !T! which aims to bring everyone together for a night of dancing, amazing shows and great vibes. I have also been recently touring the UK with the Ella Mesma company’s show ‘LadyLike’. This piece has been very significant to how I have chosen to explore with this piece as it has really helped free my vulnerability and how I express and portray that onstage.